We all know that any device connected to the internet has an IP address and a Mac address, even it also has other information as well that we can obtain. Basically, all these addresses simply allow you to identify each of these devices. Hence, today here in this post we will simply show you all an awesome tutorial to find your IP address on your smartphone. As we all know that any device connected to the internet has an IP address and a Mac address, even it also has other information as well that we can obtain. Basically, all these addresses simply allow you to identify each of these devices. Hence, it does not matter whether we are in front of a computer, a Tablet, mobile or smartphone. So, basically, in this article, we are simply going to explain how we can find out our own IP address on our smartphone. Also Read: What is the Difference Between Static and Dynamic IP Address? As we told earlier that each device connected to the internet, each connection, is assigned a unique IP address. Basically, it is the “registration” through which you navigate or surf and even you can identify yourself and track as well. Now if you want to know your IP address on any Android smartphone or Apple iPhone the don’t worry about that, as in this awesome post we will simply show you an awesome tutorial in which we will simply show you how to find your IP address on your phone. After following all the steps that we are going to mention within a few seconds you can simply find your IP address on your phone only. However, let me clear one important thing before starting the tutorial that there are several websites through which you can see your IP address from your smartphone. But, the true fact is that it is much easier and safer to know it directly from the Settings of your smartphone, either it is Android or iOS. So, now without wasting much time let’s get started and explore the tutorial. 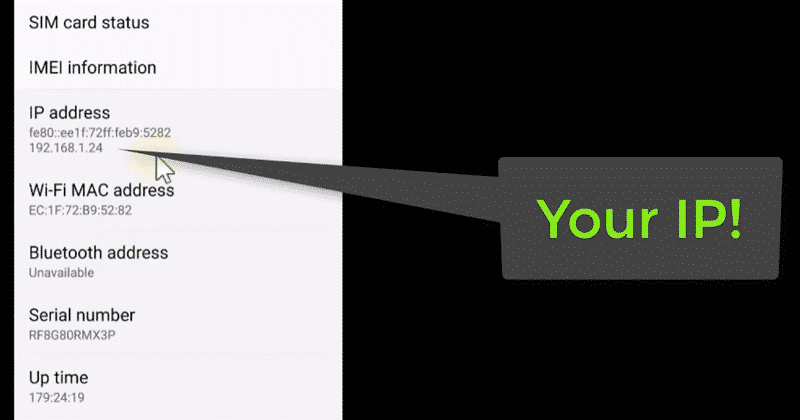 To see your IP address on any Android smartphone you don’t have to visit any third party websites. To do so, first, you have to open the Settings of your Android phone. Then simply find and open System or Phone Information option (option name depends on the brands). Now after that simply select the About Phone option. 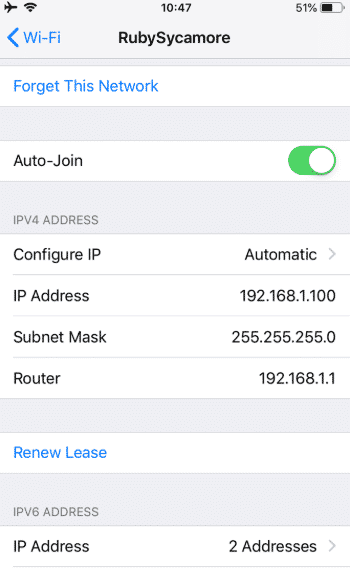 After the above step now simply tap on the Status option simply to know the status of the connection and IP address. Now we are going to guide you to find out your IP address in iOS or iPhone. However, apart from all these things let me clarify one thing that finding your IP address on your iPhone or iOS is quite similar to the process that we perform in Android. Hence, this second guide is quite easy to understand if you already followed the above Android guide. First of all in iOS or iPhone simply open settings. 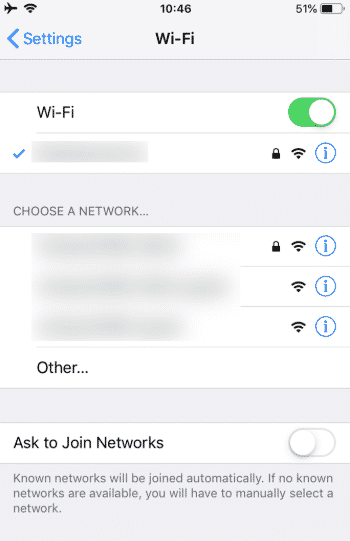 Now after opening the settings simply tap on Wi-Fi option. Then after that, you will get a window like this which is mentioned below. Now simply you have to tap on the connected network. After the above step now you will get this final window which is mentioned below in which you will get all your required information. These are the two guides in which we have clearly mentioned each and every points step by step to know your IP address in your Android smartphone or Apple iPhone. Moreover, the true fact is that it is quite easy to know your IP address quickly, no matter what device you are on. So, what do you think about this? Simply share all your views and thoughts in the comment section below. Moreover, if you liked this tutorial then do not forget to share this tutorial with your friends and family.